The Boston Bruins are producing plenty of excitement on the ice, and this game against Vancouver should be no exception. We will have a very limited number of seats on the Promenade level for this game, at a generous discount. 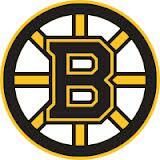 We'll meet at Boston Beer Works for a pre-game happy hour, 5:30-6:30, then walk over to TD Garden for the game. For more information, contact Ray Chang at rchang@mitsloanboston or 781-879-4117.